Christine Owens has 30 years of broad-based experience in non-profit management and fundraising. As a specialist in capital campaigns, strategic and long-range planning, board training and development, corporate relations and major gifts, Christine brings to BCC clients an in-depth understanding of the fundraising world. In addition, Christine supplements her fundraising qualifications with experience in program and organizational development, direct mail and membership, special events, and communications. Before joining the BCC team, Christine held senior staff positions at Washington University’s Medical Center in St. Louis, Georgetown University, and the Catholic University of America. These capital campaigns earned $350 million, $150 million and $100 million respectively. In addition, she directed and provided counsel for a $150 million centennial campaign at the Brooklyn Hospital, a $30 million capital campaign for the American Chemical Society, and a $35 million campaign to build a natural history museum in the Adirondacks – The Wild Center. Most recently, she served as Director of Development at the Potomac School in McLean, VA where she managed a $50 million capital campaign, annual giving and alumni relations. Christine is currently also an adjunct professor at Columbia University, teaching in the graduate program of Non-Profit Management, and formerly was a Professor of American Literature at Chung-tsing University in Taichung, Taiwan. 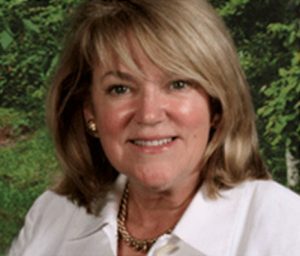 Christine has developed training programs, conducted seminars and served as a consultant to the American Bar Association, the United States government (Office of Personnel Management and Department of Defense), the Institute of Political and Legal Education, and the Natural History Museum of the Adirondacks. Christine is a frequent panelist and presenter for the Association of Fundraising Professionals, the Council for the Advancement and Support of Education (CASE), and other national, regional and local conferences. She has also served on several non-profit boards and was a co-founder of a women’s shelter and founder of a teenage suicide prevention program in St. Louis. Christine holds a Bachelor of Arts in Political Science/Economics from the University of Colorado, Boulder and a Master of Arts in Public Administration from Webster University, St. Louis, Missouri. She has completed coursework for a Ph.D. in Organizational Behavior at Washington University, St. Louis, Missouri.